Juicing has become all the rage recently, but it has been around for a long time. Most people associate the juicing movement to the Hippie Generation of the 60’s and 70’s. Juicing is mentioned in biblical times in the Dead Sea Scrolls and is practiced in Ayurvedic medicine for it’s restorative properties. 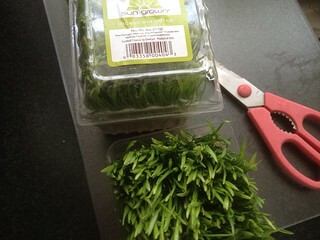 Wheatgrass is like the mother of all juice. It’s because of the high level of chlorophyll who’s green pigment harnesses the sun’s energy. 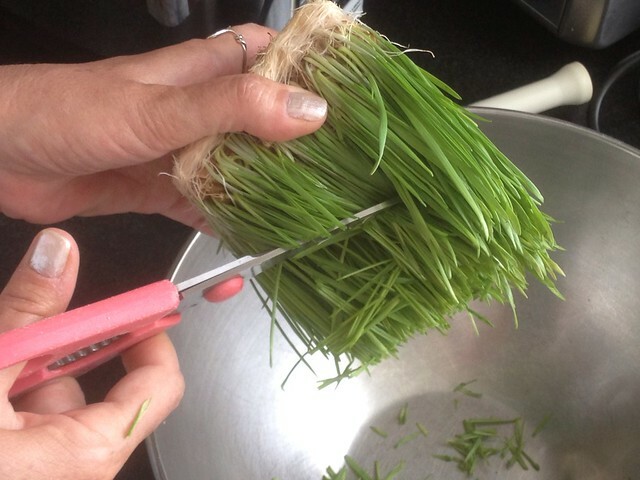 The grass is harvested young when the nutrients and minerals such as selenium, phosphorus, manganese and chlorophyll are at their peak. One to two ounces can cost you anywhere from $3 to $5 dollars at a juice bar! To make a glass it takes about two bunches, sold at places like Whole Foods and other markets that carry organic produce or you can grow your own. You add pure water to the green liquid gold after you juice. You can use a Vitamix style blender or a masticator juicer that separates the fiber, which is inedible to humans. Although I have heard of the fiber being added to other foods and eaten. A shot of 2 ounces a day is a great way to start incorporating this wonderful tonic to your diet. It is a detoxifier as well and helps the body cleanse. The taste is fresh and somewhat sweet and can be combined with other greens and fruit to create an antioxidant power smoothie too. Juicing is a powerful way to have your veggies and fruit and your body will thank you for it! Don’t take my word for it, check out some books on juicing like the Juicing Bible and search the internet for legitimate juicing sites for more in depth recipes and information. There is even a documentary called Fat, Sick and Almost Dead. Powerful! Not to mention it all tastes great and you can adjust it to your own tastebuds! 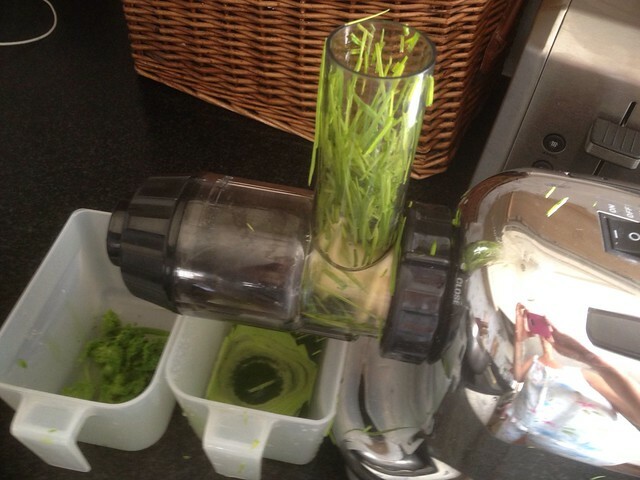 Cut the wheatgrass into a bowl and add to your juicer till liquid. Use filter on glass to remove fiber. Add the pure water and drink up! Next time you can add any number of green veggies like kale or spinach and some carrots and maybe an apple, well you get the idea! Michele Errichetti is from South Jersey born and fed. She comes from an Italian family where they eat, live, and breathe FOOD. Michele was cooking and eating under her grandmom’s feet every Sunday for “gravy” and at home with her mother (a Medigan or American) during the week. Nowadays, she cooks for her two sons, husband, and father most days of the week. She takes “Girl Road Trips” with her friends at least once a month that always culminate with you guessed it, FOOD. She hopes fresh, local, organic, and free range will become the norm. Michele is searching Atlantic County for everything that has anything to do with good food and she’s taking you along for the ride.